A kid’s bedroom: there is no room more challenging, yet more fun to design. Before embarking on this project, you may want to consider all the pointers that follow. The first thing you need to remember is to account for the safety of your child. Make sure that the wiring, paint, furniture and decor items are all of good quality and child-safe. No matter how good it looks, avoid items that are made of glass. This includes shelves and furniture. Children spend a lot of time in their bedrooms. Remember to leave plenty of open space in the room. Opt to put all the bulky furniture against the wall. Leave the centre of the room empty so they have plenty of space to play, move around, and let’s face it, scatter their toys. When designing a room for children, it is important to include them in the decision making process. The easiest way to do this is to ask them to pick the colours for their walls. If the colour they pick is way too bright for your taste, use it as a feature wall and paint the rest of the room a more neutral colour. Yet another thing you can do is narrow down the different furniture you’re willing to buy and leave the final decision to your child. No matter how attractive the alternative, purchase practical items. Children are quick to grow in size. They are even quicker to grow out of phases. So while making big purchases, like furniture, keep things simple. You can indulge their tastes in things like bedding, rugs or wall decor. It is very important that your child’s room is adequately lit, both during the day and at night. When setting up the room, make sure there is nothing blocking the windows. As for the light fixtures, try opting for warmer lights. These help the body to relax so it is easier to put your child to bed. Children may be small but they always seem to have more stuff than everybody else in the family. Give them sufficient storage space for all their things. Try to go for furniture that doubles as a smart storage option. It is always a good idea to invest in overhead storage for all the things that they don’t need every day. A common idea while furnishing a kid’s room is selecting a theme. This helps in making the room look seamless. Themes range from cartoon characters, favourite animals to just a combination of colours. While designing a room based on a theme may be fun, the real problem comes with maintenance. So pick furnishings that are easy to clean and quick to dry. Remember, if it’s a kid’s room, spills, stains and scratches are part of the parcel! One of the best ways to personalise a child’s bedroom by displaying their artwork. Pick out the best of your child’s drawings and have them framed. You can also hang framed photographs or poetry. Have them create wall hangings and craftwork for their shelf. Deck the room in their work and watch it come together! Kids are the most challenging “customers” to please. 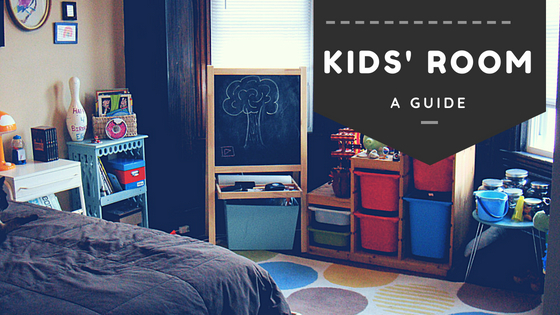 Designing a kid’s room can be challenging. But the smiles, in the end, will definitely be worth all the effort! 4 Reasons to Buy Property this Monsoon Season! Monsoon in India invariably means puddles, traffic jams and blocked roads. Naturally, this doesn’t sound like a good time to go apartment hunting. Well, believe it or not, this is one of the best seasons to lock in on your preferences. Here are four convincing reasons for you to brave the elements, and go looking for a house this monsoon. Monsoon is a dry season in terms of real estate sales. Besides the heavy rain, most people consider this time inauspicious to make big purchases. Luckily, this makes it the best time to get a good bargain. Even when the developers do not advertise it as a monsoon discount per se, most of them are more than willing to offer lower rates to serious buyers in order to clear existing inventory. The amount of discount you can avail varies for different cities, depending on how badly the city is affected due to monsoon. It’s not just the developers who are keen to boost their slow business during monsoon. Even banks and financial institutions are more likely to negotiate interest rates and offer attractive home loans during monsoon. House hunting in monsoon will reveal a lot about the water logging problems in the locality. Driving around in a downpour will also give you an idea about traffic problems, and the time required to commute to and from that locality. This is especially helpful if you have new to a new city, and are yet to learn its quirks. Looking for a house during monsoon saves you a lot of trouble as you know what you’ll be dealing with during the next monsoon. In the case of partially or fully completed properties, inspecting the house during monsoon will give you a fair idea about its construction and reliability. You can easily spot signs of dampness or leakage, and avoid buying an ill-constructed house. Structural soundness of a building is an essential factor, as you may end up spending a huge amount on repairs if the house turns out to have water seeping problems. 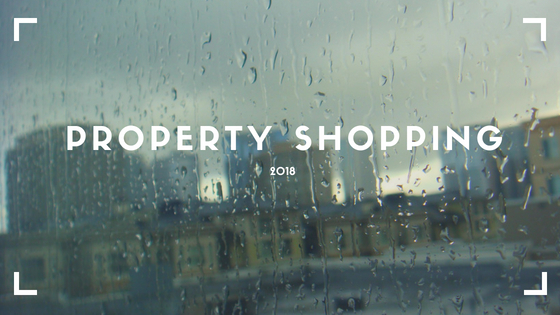 Now that you know why it can be very profitable to buy a house during monsoon, you can very well put on your rain gear, and set out to find your dream home. Not only do you stand a chance at striking a real bargain, you also benefit from the lower home loan rates that are generally offered during monsoon. Planning an event in an Apartment Complex can be a challenge. There is always a lot you need to do and almost always, there are unforeseen difficulties. Here are some things that may help smoothen the process. As an organiser, naturally, this is the most important part of event planning. There are several things you need to put in place as you start organising your event. Not only do you have to book the venue or facility where you wish to host the event, you have to ensure you have legal permission or license to do so. You also need to organise for decorations, chairs, tables and anything else you may require during the event. What is an event without participants? It is important to make everyone in of your apartment complex aware of your upcoming event. Generate a buzz among the residents with frequent reminders. It may also be a good idea to put up posters. If your event has a participation fee, collect it in advance. A huge part of any event is light and sound. In some places, you may also need fans or air conditioning. It is important to have someone overlooking all these issues as they may arise before or during the event. Regardless of their enthusiasm for your event, participants will always be excited about the food you serve. Spare no expense in this area. A good variety of food and drinks that caters to people’s dietary preferences will have a good influence on the popularity of your event. This is what the event is actually about. Build a schedule for the programme with time estimates. If this involves a cultural programme begin rehearsals as soon as possible. Stage and costume rehearsals are always a good idea. Always remember to organise activities for children. Participation by children is the easiest way to get their families engaged too. When delegating roles, remember to account for everybody’s area of expertise. Besides these areas, remember to have someone supervising the whole event including coordination and budget management. Once you know who’s doing what, start getting estimates from service providers. It helps to have two or three options to choose from. Once you have an approximate idea of how much it may cost, set a budget. Negotiate with the vendors for the best price. If you wish to charge a participation fee from the residents, it is extremely important to make it as inexpensive as possible. Keep a track of your income and expenses. This should be easily available if somebody asks to see it. This, of course, is an optional avenue. While some events are likely to have a theme, others can do without it. However, if you choose to have a theme, arrange for decorative pieces and props that go with it. Remember, highly stylized props can be used only once. Aim for reusable props that you can store for the next time. Create a plan for your entire event. Build a schedule for the day right from set-up to pack-up. Mark the timings clearly. When the whole team knows where they have to be and when coordination becomes simpler. Do all that you can in advance. Account for every detail from lighting to costumes. All your shopping should ideally be done a few days before the event. Finally, remember that there will always be some things that are beyond your control. Leave some room for flexibility in your plan. There are several things you should be mindful of when your event is in progress. If you want to stick to your schedule, it is very important to start your event on time. An event that starts on time can end on time, with plenty of time to do everything you have planned. Community events are a chance for the entire society to enjoy each other’s company. But with so many people (especially children) gathered together, there is a high chance of accidents. Keep a first aid kit nearby. The last thing you want is for bored kids to drag their parents home. Create a small playpen with toys for children to keep them busy. This is the easiest way to entertain your guests. Put up a plain black backdrop against a wall and leave a selection of silly cardboard props nearby. Your guests can enjoy a selfie session. If you do not want to hire a professional photographer, have someone from your team capture all the candid moments of your event. Why enjoy yourself just once when you can capture the moments forever? Give all the residents a free access to the stage. Give away prizes to the participants who agree to perform on the spot. Another good idea is karaoke. You don’t need a karaoke machine to enjoy this. 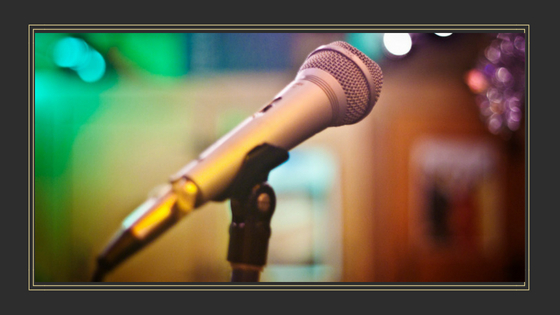 There are several youtube karaoke videos that your guests can sing along to. After the event is over there are a few things you and your team have to do. First, it is very important to clean up the venue. Clear out any trash that may be lying around and put it in the bins. This is the time when a lot of missing items are found. Makes a lost and found box and put up the list of items on your ApnaComplex Forum. Remember to clear all your bills. Prompt payment for services usually encourages better service when you hire them again. Sending a personalised thank you note to your service providers is also a good touch. This is also the time to reimburse your team members for any payments they may have made during the event. Lastly remember to acknowledge your team, volunteers and participants who helped make your event successful. A community event is a fun way to get to know other residents in your apartment complex. Collaborating with everyone to successfully pull it off may take some effort. ApnaComplex has an array of features that you can assist you in this task. Visit our website to learn about facility management, discussion forums and so much more! While apartments have their advantages, one big downside is the detachment from nature. As opposed to a house with a big green yard, apartments tend to feel closed off and small. The only gateway to the outside world often comes in the form of balconies. Sitting out on your balcony, sipping a warm cup of tea (or coffee), and just watching the world go by is an undeniably therapeutic hobby. But often balcony spaces are underutilized. A common sight is a couple of old chairs, some pots with small plants, and heaps of refuse that we store for no real reason. In recent years the concept of “handkerchief gardens” has blossomed (pun intended). 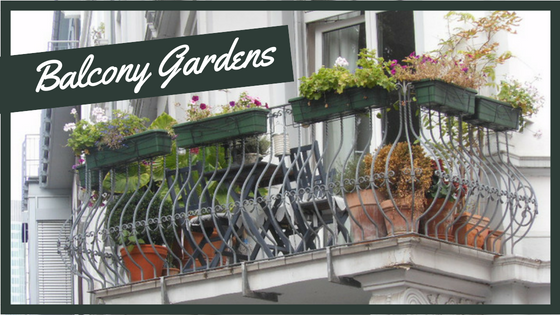 What originally started as small, square garden spaces is now a term used to describe gardens in small spaces. So why not bring this concept to your balcony? Landscaping small spaces can be a daunting task. Not only does it need to be space efficient, it also needs to fit your personal creative tastes. Here are some tips that can help set the wheel in motion. As with any DIY project, the first step is planning. Having a clear idea of the space available is a must. Measure the area and create a plan for where you want to eventually place each item. The next thing you need to do is clean up the balcony. Remove the clutter that has been lying around. Keep a lookout for cobwebs and dust bunnies that may have appeared in the unused space. Put up nails and hooks wherever you may need them. Remember to check the wiring and sockets that can be used. If you want to go the extra mile why not try hand painting the wall for extra flair? The primary requirement of any garden is, naturally, plants. While everyone loves the idea of exotic sweet-smelling flowers, we should remember that these plants need a lot of work. Look up plants that may be easier to grow in your locality. Also, check the direction of your balcony. This will have a direct effect on the amount of sunlight your plants will receive. Instead of flowers, consider growing herbs (like mint) that not only smell good but can be used in your kitchen. A pot garden with the little mud pots is a common sight in most balconies. But why stop there? Almost anything can be reused as garden pots; bottles, old buckets, kettles, old cans, everything is fair game. To add a little variety you can also purchase hanging pots or hooked planters. Balconies are usually small. In such small spaces, vertical gardens are usually a good idea. Old bookshelves, step ladders, tables and stools, all provide good surfaces to put your pots on. Do not be afraid to add variations in height. It is all part of the aesthetic. Another dramatic addition you can make to your balcony garden is vines and creepers. If you want to add an aura of magic and fairy tales to your space, this is the way to go. Just remember, vines take a little extra effort to maintain. Team it up with your vertical garden and it can make a striking impression. Gardens do not have to be limited to growing plants. Adding decor pieces that compliment your setup is always a good idea. Place random knick-knacks like figurines and windchimes. A popular addition you can install is a water feature. Small fountains and aquariums can add a bit more zing. You can also create a small bird bath. If you are lucky, the chirping of birds will be a great new feature of your new garden. Outdoor lighting can go a long way in building the aesthetic. Drape fairy lights along your walls or hang paper lanterns from the ceiling. This is usually cost-effective and easy to remove. However, if you want something permanent, buy new light fixtures for the space. Try to opt for warm lighting. It creates a more cosy ambience. One of the most effective ways of creating a low-maintenance garden is through terrariums. A terrarium is a glass container with a plant growing inside. It is a usually self-sustaining ecosystem. The evaporated water condenses on the surface of the glass and waters the plant over and over again. Once in place, it requires almost no help to grow. All you need to do is open up the container every so often to fertilize or trim your plants. Do not forget to add some outdoor furniture to the mix. Your balcony could be used for anything from reading to meditation. Seats and throw cushions can help create a comfortable nook. Outdoor swings are an ever-popular choice in India. Choose quick dry foam cushions to avoid rain damage. Make sure whatever furniture you place outside is weather resistant or coated with oil paint. A balcony garden is a very good place to relax and unwind after a long day. The sense of tranquillity that comes from being surrounded by foliage is unparalleled. Big or small, it has a proven effect on your mood and psychological well-being. In a life always on the move, everybody deserves a chance to stop and smell the flowers. So pick your favourite ideas from this list and create your own handkerchief-sized masterpiece. Happy gardening! 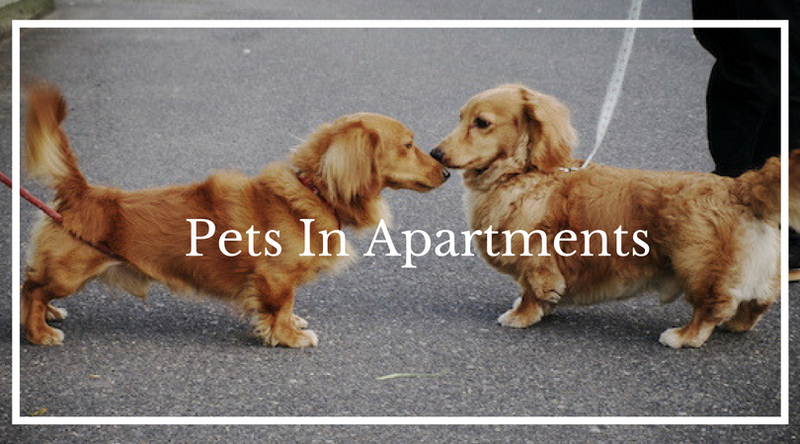 Pets in Apartments: the Rights and Responsibilities of Pet Owners. Many people love the idea of having a four-legged furball at home. They tend to have a therapeutic presence. Animal lovers will do anything for their furry friends. But others consider them a nuisance. Pet-related activities are disapproved of and even opposed. Often, people forget that other species on the planet also need a place to live. Sheltering a few homeless animals, newborn or aged, is not a bad idea. The perpetual debate of whether pets must be allowed in apartment complexes, or not, has made us realise that there is a need for a clear understanding of the situation (especially before we jump to conclusions about the rights and wrongs). Authorities within residential areas often send out circulars that have rules and regulations about pet ownership. These circulars contain ‘vital’ information about whether or not they can be allowed to live with their human caretakers. What people are unaware of is there is no law enacted by the Parliament, or any State Legislature, that bans animal friends. At most, you may have to register your pet (In many parts of the country you are legally required to register your pet). More often than not people end up having to choose between their home or their animal companion. This violates a fundamental right of being a citizen of this country. The right to make personal choices is protected by the constitution of India. Pets being banned on society premises on account of being noisy. Prohibiting homeowners from using parks, lifts and other facilities if they are accompanied by pets. Also, being charged for the same. Forced usage of muzzles (on calm pets). Discrimination as per the size and breed of pets allowed in the housing society. Being asked for a pet resume before being given the flat on rent (A pet resume contains the pet’s basic details, previous rental experience, health, behaviour, references, etc). No bans can be imposed on usage of facilities (like lifts and parks) by pets. RWAs cannot impose any extra charges for this, either. Pets and resident owners of the pets not violating any Municipal Sanitary Bye-Laws or Regulations are permissible to stay in the society or community. Size of pets cannot be a valid reason to ban them from society premises. Such rules are highly discriminatory and might lead to friction among the members of the society. But, it must be kept in mind that these objections have risen due to certain behaviours of pet animals that have inconvenienced people in some way or another in the past. As has always been, rights come with responsibilities. Pet owners must come forward and offer to adhere to simple, implicit rules and mannerisms. This will eventually resolve the issues that lead to discriminatory circulars. The pet owners must make sure that there is no nuisance caused in the society due to their furry pals. When out of the house and in the premises of the complex, the pets must be accompanied by their owners or anyone who has them under careful observation. Since there is no central law regarding cleaning pet excreta, RWA can request pet owners to do the same. Training must be provided to the pets in apartments on identifying people walking in and out of the apartment wing. This will help prevent them from getting provoked when neighbours and children are around. The animals should be taken to an obedience class/training class as well. A certificate is generally provided once the animal recognises behaviour signals. Crate/kennel training is another way of training the pet to stay in one place as it provides a feeling of security to the animal. The pets must also be trained, through positive reinforcement, to not get aggressive around other animals and prevent matters from going downhill. Pets must undergo regular vaccinations and medications required to stay healthy. The owners should take responsibility for their pets. Children and residents must be asked to not provoke or tease the animals. In conclusion, the society representatives and pet owners, must organise regular meetings and address the issues each party faces, and meet each other halfway. Non-pet owners must be sympathetic and flexible towards pets and their owners. The latter must take precautions to ensure that they and their furry friends continue to behave like responsible members of the community. Disclaimer: This information is offered as a public service. While we try to make it accurate as possible as on the date of publication, the laws change and more importantly the way we interpret laws could also change. We cannot promise that this information is always up-to-date and correct. We strongly recommend you to always consult appropriate professional advisers for your society to ensure compliance. We are not responsible for any actions or non-actions that are done by you based on the information present in this article or any other article on this blog. 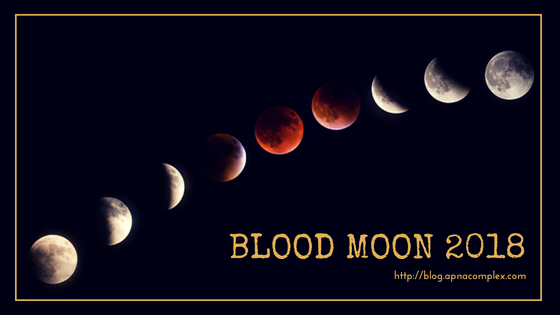 Blood Moon Eclipse: 6 ways to enjoy this spectacle in your own apartment complex. The moon, the brightest object in the night sky! It is a source of beauty and wonder. From times immemorial, we humans have loved and admired its presence. But, every year there are days when it is beautiful in its absence: a Lunar Eclipse! A Lunar Eclipse is a natural phenomenon which occurs when the sun, the earth, and the moon align. The earth blocks the light of the sun from reaching the moon, casting a shadow over it. Depending on where you are on earth you can see the total or a partial lunar eclipse. So if you want to organise a fun eclipse event within your apartment complex, here are some fun ideas to try out. To truly enjoy the night sky, darkness is a prerequisite. So turn off all the unnecessary lights and look up. The splendour of the heavens is yours to behold! If you prefer, also turn off all the electronics and enjoy the sounds of the night. This also has the added advantage of saving electricity and reducing light pollution (if only for one day). Not only is it the night of a total lunar eclipse, on 27th July, but the planet Mars will also be exceptionally bright. This is because it is the closest the red planet has been to earth in decades. If you have access to one, try to organise for a telescope. It may also be a good idea to bring a few pairs of binoculars to watch the eclipse. However, if none of these options is available, your mobile’s app store has an excellent collection of free apps. These apps can help you easily locate planets, stars, and constellations in the night sky. What really brings a party to life is food. What is better than mom’s homemade cooking? Every mom’s homemade cooking! Have each of your guests contribute to the buffet for the evening. Potlucks are a fun way to have the whole family cooking to bring a crazy variety of food to the communal dinner table. While your entire society is gathered together why not have a few competitions? The moon has always been a muse to artists worldwide. Give the literary artists among you a chance to shine with original stories or poems about it. If you wish, you can also request the elders to tell everyone old legends and folktales. I mean, who doesn’t enjoy a good story, right? Let’s face it, sitting out in the open, late into the night can get a tad chilly. A bonfire is a fun solution to this problem. Make sure you are in a well-ventilated area, and the wood is sufficiently dry. Get all your neighbours to sit around a fire singing songs and telling stories. Bonus points if they are about the moon! Speaking of singing songs, what can be better than the favourite Indian pass time- Antakshari. Divide your family and neighbours into two teams and belt out your favourite soundtracks under the waning light of the moon. A Lunar Eclipse is a heavenly treat for everybody. This one is going to be the longest total eclipse in the century! What’s more, it is perfectly aligned with a weekend. So why not make it truly memorable? Go ahead, gather every person in your own apartment complex! Have a happy eclipse!